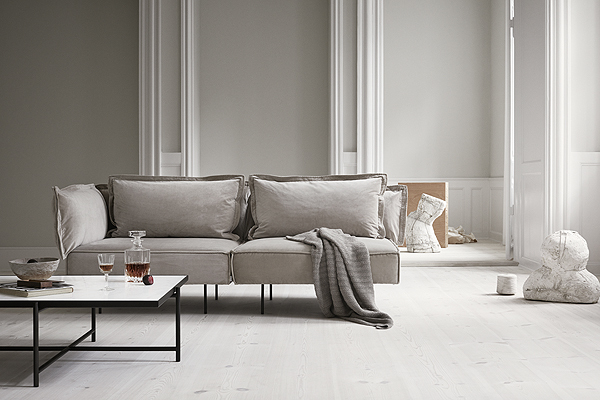 Inspired by italian grandeur with a touch of Scandinavian minimalism, The Modular Sofa by Handvark offers both a light weigh expression and a high level of comfort. High density foam and with heavy padding on top gives a fluffy look. 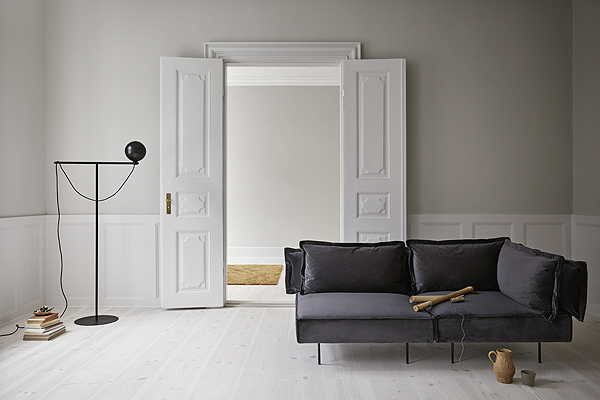 Elegant and matte black steel legs gives a floating expression. 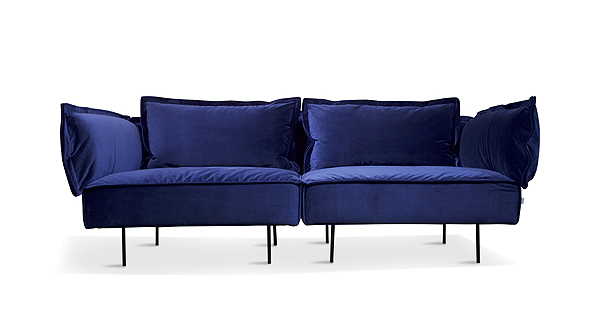 Solid but flexible back rests in steel with a unique fiber pillow allows the sofa to keep the shape in years. 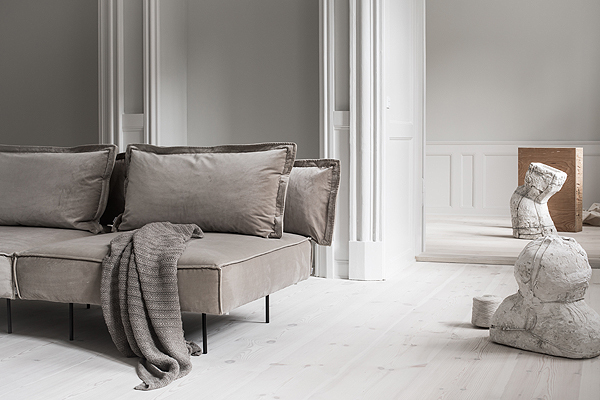 Extra pillows completes the look and adds comfort. 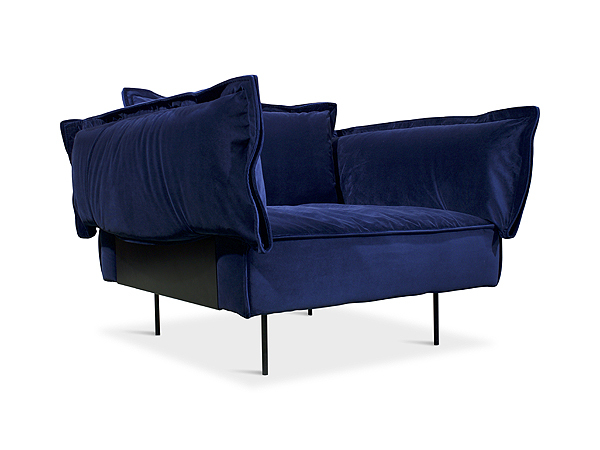 Only available in 3 colors of luxury velvet. 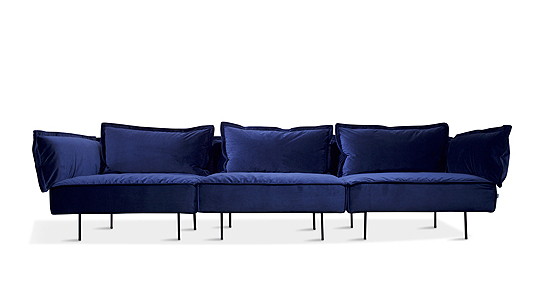 Made like building blocks, this sofa offers infinite combinations and is truly customizable, even after you’ve enjoyed it for many years. Ultra versatile, where each individual module can change form as you please. All sides are detachable and can be moved into any position on the Base Module. 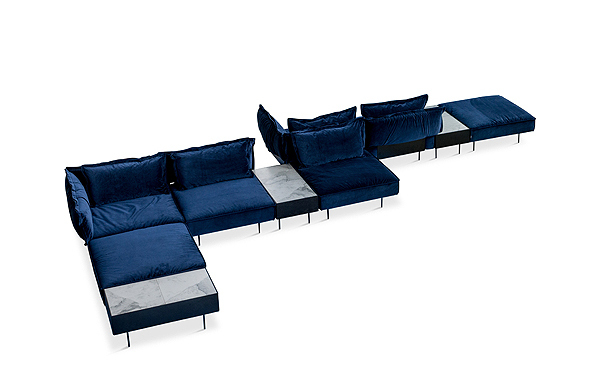 Build a lounge chair out of 1 Base Module + 3 sides or a big, comfy 3-seater with 3 Base Modules and 5 sides. Add a build-in marble table to your combination and choose from 5 colors of marble.